Join Wendy's, AutoZone, Carter Bank & Trust, Quality Inn, medical and financial offices and other businesses on this commercial loop on Oak Street, just 1/10th of a mile off 74A in Forest City. 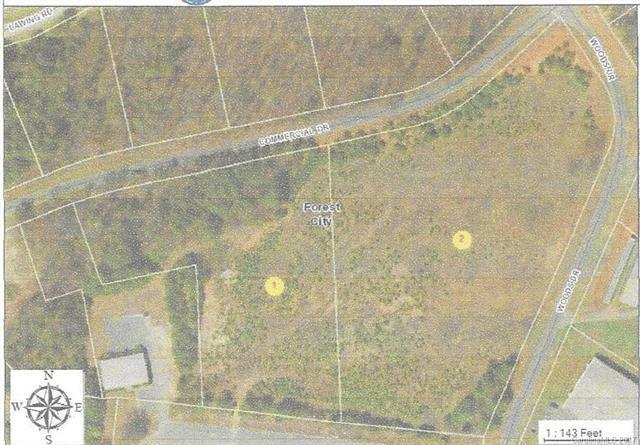 8 acres zoned C-3, suitable for almost any use. Over 900' of road frontage on 2 roads. Also includes parcel #1539807006.